Ealing letting agents Benham & Reeves will point to a vibrant High Street that combined with elegant Victorian villas and wide avenues, make the area a viable alternative to more urban options to rent a property in. Ealing is in London's W5 postcode which lies eight miles to the west of central London which, when looking out onto the tree-lined Common, can sometimes feel even further away. Apart from outstanding period properties, luxury apartments are also available in new apartment schemes like the recent Dickens Yard development which has created quite a buzz already in West London's property circles. These high specification apartments and penthouses to rent are ideal investment properties especially as there is no shortage of professionals and wealthy students alike who like living within easy reach of the City of London, Heathrow Airport and the M4 corridor all within just half an hour. To take a glimpse of what the local area looks like click here to view our area guide to Ealing. Where do you live? I've lived in Ealing all my life. Tell us about your career? I've worked in lettings since I was 19 and am ARLA Propertymark qualified with the NAEA (NFOPP) qualification. 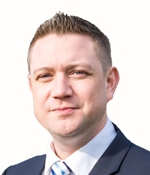 I've been with Benham and Reeves since 2006 and was previously Manager of the Knightsbridge office. Before that I was a Negotiator at the Kensington office. Tell us something interesting about yourself? I once spent a year travelling around SE Asia, Australasia, the USA and Mexico where I met some very interesting people and learnt a lot about different cultures, it was a great life experience. Where do you live? I used to live in West Kensington but now live in Hammersmith, zone 2 which is an exciting place to be as there is so much change taking place in the area. What made you move into lettings? I started out as a landscape gardener but I've always been interested in property so decided on a career change. I spent several years working for a lettings agency in Putney, before joining Benham and Reeves in 2013. What interests do you have outside work? I have a passion for the outdoors and I love mountaineering. I hope to climb Everest one day. During the last 10 months I've lived in Ealing in a property managed by Benham & Reeves. I am highly satisfied with the service provided by the agency, specially with Tanya Karachorova, my agent. When there is an issue at home, they take care of it as soon as I report it and it is normally fixed in the same day!! They are amazing. I would highly recommend this agency to anyone. Quick and responsive, very friendly, and got us a great flat. We really enjoyed working with the team - communication was top notch and very professional all around. We are incredibly happy with the flat and will definitely use them again. Highly recommended. The experience we had for both our Ealing properties has been great. Benham & Reeves have conducted the marketing and management of our properties in a very professional manner and have responded to our enquires almost immediately. Being able to retrieve reports and summaries online regarding our properties helps us to keep track of our accounts. This is a fantastic service B&R offers to investors and it gives us a peace of mind to know our investments are in good hands. On behalf of my wife and I, we would like to commend you for your excellent service to date. 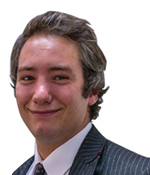 Our contact has been Nick Hubbard, who has constantly responded to our queries and emails in a timely manner. This has given us a sense that we are being listened to, and our concerns addressed. Nick and Liane have been very good. I dealt with Nick in the main, and was very happy with how he handled everything. I have also now been in contact with your management team and accounts dept, who are very efficient. Benham and Reeves Lettings Ealing Customers have rated our service as 5/ 5, based on 5 reviews.